More info please - Release date, publisher, illustrator, author readings at my school? You know the full line up. Patsy is a clever-great name. 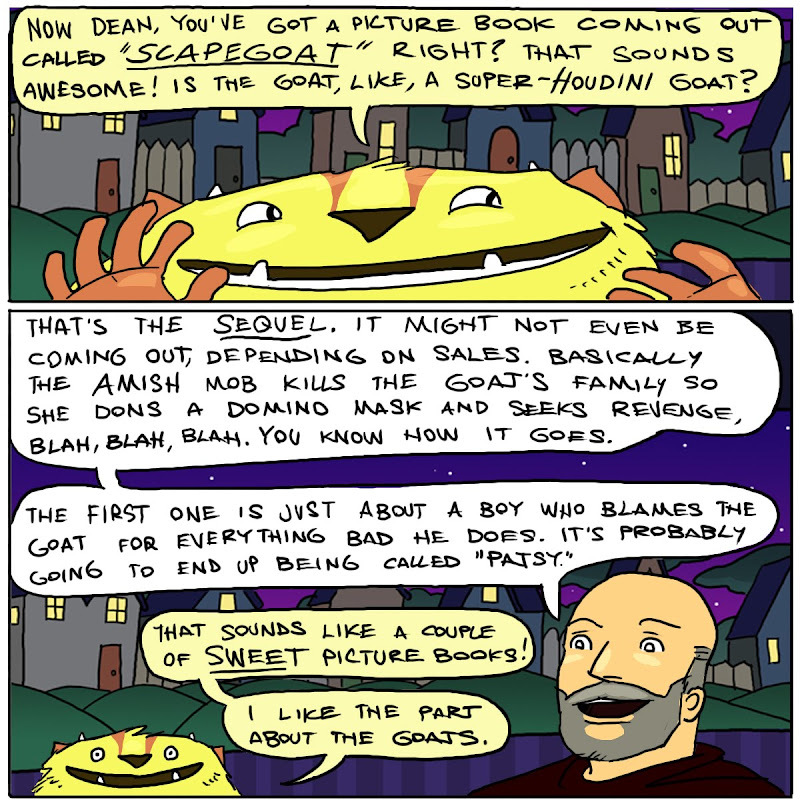 I am also very partial to goat, espically after reading Barbara Kingsolvers Prodigal Summer. Dean, can you fill in the rest? No release date yet, I'm not sure the illustrator has been officially announced (picked by not signed yet). I bet it'll be a couple of years. As I recall, Nate called the book the weirdest picture book text ever. I'm all about the wierd. Gaiman's Wolves in the Wall is one of my favorites, also Beware of the Frog.